CURT 2" trailer balls are versatile and reliable. 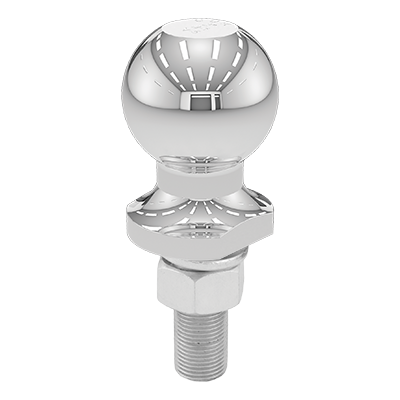 They are available in stainless steel or a chrome finish, and range in weight capacity from 3,500 lbs. up to 12,000 lbs. 2" trailer balls are used on everything from vans and SUVs to full-size trucks.